Players aren’t the only ones that are a part of a team’s success. Students who attend their games and cheer them on also play a major role. By finding ways to show your spirit, you can support your high school football team and encourage others to do the same. Being a loyal fan means doing more than just wearing your school colors during pep rallies or games. By finding creative ways to show your spirit and get others involved, you can help your football team and your school. A spirit squad plays an important role in getting others hyped for and spreading the word about football games. When developing a spirit squad, it is important to find people with a similar level of school spirit as you. Bringing in people with different talents can help as well. If you have people with computer, arts and music skills, they can use their talents to engage others in your school community. Your spirit squad can encourage greater school spirit by developing different themes for each football game, decorating lockers with numbers and pictures of different players, developing team flags or banners, naming an athlete of the week or having special fundraisers or themed events for the team. A school pep rally is an important way to rally students around a football team. If you find ways to make students feel involved or invested in the team, they are more likely to attend the games. One great way to engage students is through giveaways. Pass out football-themed door prizes or have football players or cheerleaders give out items such as pins or candy during pep rallies. If you plan ahead, you can get students more directly involved in pep rallies. You can do this by asking students to put together skits or routines, holding school-themed poster contests, getting students to help decorate the gym, encouraging students to dress up in themed outfits or having school spirit contests between different grade levels. You can be your team’s number one supporter as the mascot, as long as you have the time and skills. The mascot role usually requires someone with a lot of energy and the ability to engage with others. To look your best, you want to have a uniform that sticks out and fits with your team. You can find many different options of mascot costumes for sale online. While being a mascot requires a big commitment on your part, it is a great way to show your school spirit. School sports programs are stronger when teams support each other. By getting players from other girls and boys teams to show their spirit for the football team, you can help to make your school more united. Getting other teams to support the football team will also have a chain effect because during the off season, the football team and its fans will be more likely to go to watch other school sports teams. 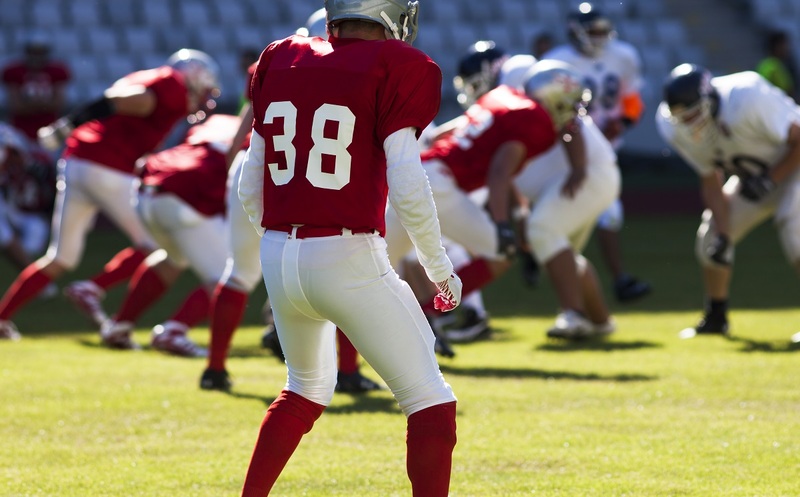 You can help to get other teams involved by hosting events that bring together different sports teams and spreading the word about the football team at other sporting events. School spirit can come in different forms. You can show your school spirit by serving as your school’s mascot, or by being a spirit squad member. Finding the role that works best for you is the key to being a strong supporter. By getting others involved with your school’s football team and other sports programs, you can show that you have a passion for not just your football team but your school as well.